Hope you all had a lovely Christmas and New Year. Now that we have reached 2018, it’s time to start getting excited about the new additions that are coming to the UK theme parks this year. If you are not excited or aware of what’s to come, have you been living under a rock? Pretty much all of the theme park community is aware of these new projects that are opening this year! With a little help from Screamscape, I have collated all new additions coming to the UK theme parks this year for you guys. Next up is another major coaster that is due to open in March this year. Code name: SW8 at Alton Towers, the GCI woodie is definitely getting us talking. Finally, a Merlin park has made the leap and is building a woodie in one of their parks. I am certainly intrigued as to how this will ride and looking forward to seeing it all come together on opening day. 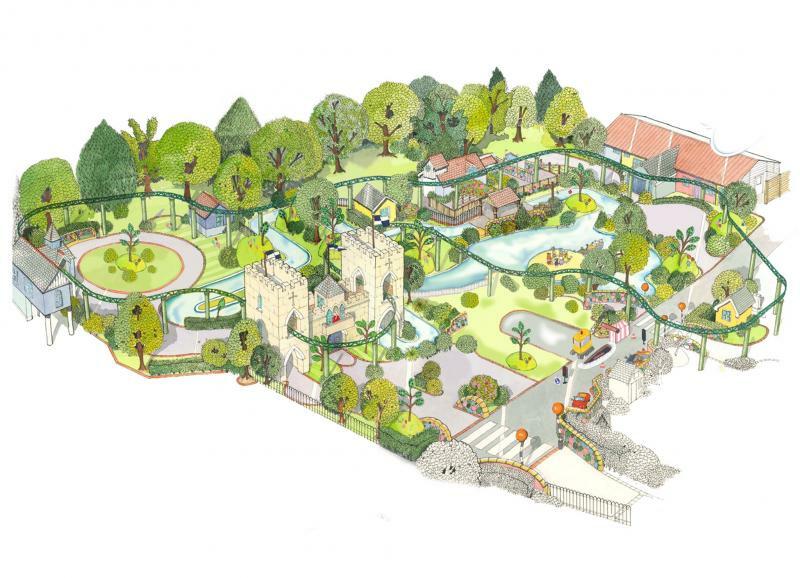 I personally think it’s great that Chessington has decided to vamp up an existing area of the park. Mystic East looked very tired and with the removal of the rocks, Dragon Falls was looking sorry for itself. I am very much looking forward to seeing the new Tiger enclosures in the area as well as the rethemed ‘Tiger Falls’ log flume. There haven’t been any ‘construction’ photos but the promo artwork looks fab. It doesn’t really come as a surprise that Paultons Park have decided to expand their most popular area of the whole park, Peppa Pig World. The new additions, “The Queens Flying Coach Ride” and “Grampy Rabbit’s Sailing Club” will bring in the families. You can definitely tell that these new rides are going to be a real hit with the children. Not only this, there will also be a new ‘baby care center’ and catering outlet. If you’ve got young children, get yourselves over to Paultons Park this year. There is definitely some exciting projects and I can’t wait to visit this year. Roll on the 2018 open season!